With the advancement of smartphone technology, an expansion in digital marketing has been observed over the years in India. Of the many strategies involved, QR Codes have shown exponential growth in engaging customers by offering dynamic content such as webpages, videos, and text documents among other forms of media. 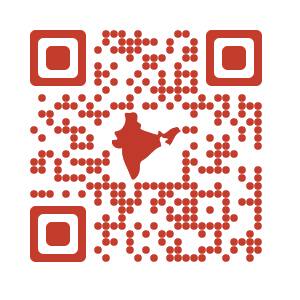 India features in the top 10 nations consuming QR Codes and companies are embracing it every day. But the full potential of this 2D barcode has not been achieved in the country. The high number of languages in India can make it difficult for vernacular speakers when they travel to another state which typically has a different tongue. When scanned, QR Codes can offer language options to the user in order to avail the service in a language of their comfort. Not only does this facility bring ease to the customer, but it also multiplies the customer base for the local business. The Union Tourism Ministry plans on using QR Codes to deliver information about heritage sites in New Delhi to tourists in a language of their choice, replacing the out-of-date audio guides. The State Tourism Department of Kerala, in February 2015, has already integrated QR codes into helping tourists reach destinations in addition to the history of the place. Retailers across the globe make use of QR Codes to offer coupons during their promotional campaigns. They place a QR Code with the promotional ad. Scanning the QR Code by users dispenses a coupon to their smartphones. This makes it more convenient than the conventional coupons which need to be cut and stored safely. Businesses in India can use this strategy to provide authentic discounts. You can create a QR Code coupon using an online QR Code Generator. It is widely known the affair Indians have with Bollywood, Tollywood, and other cinemas in the country. This presents a huge marketing opportunity for distributors to interact with their audience. One can put QR Codes on movie posters to show movie trailers or to allow booking tickets online. This makes a lot of sense for India as a large section of the popular is enthusiastic about cinema but cannot read or write. However, they do know how to click a picture and most have a smartphone. Since scanning a QR Code is as easy as clicking a picture, they can easily access movie trailers and other videos using their smartphones. Organizations that require participants to fill out an application (job, competitive exam registration, ID cards, etc.) can use QR Codes to make it an easier and less time-consuming process. Instead of standing in queues, applicants can scan a QR Code displayed and get an online form on their smartphones. They can complete this at the application center itself and save a lot of manual paperwork for the staff. HDFC India has announced it will integrate online retailers into its mobile banking platform to enable one-click purchases using QR Codes. The program plans on using the platform to authenticate the user. Hence, it allows making purchases, without further authentication, from the retailers. By introducing this, HDFC plans on accelerating eCommerce transactions. Paytm Wallet, a payment app that allows transactions to Paytm tie-up companies, has now introduced a new feature. 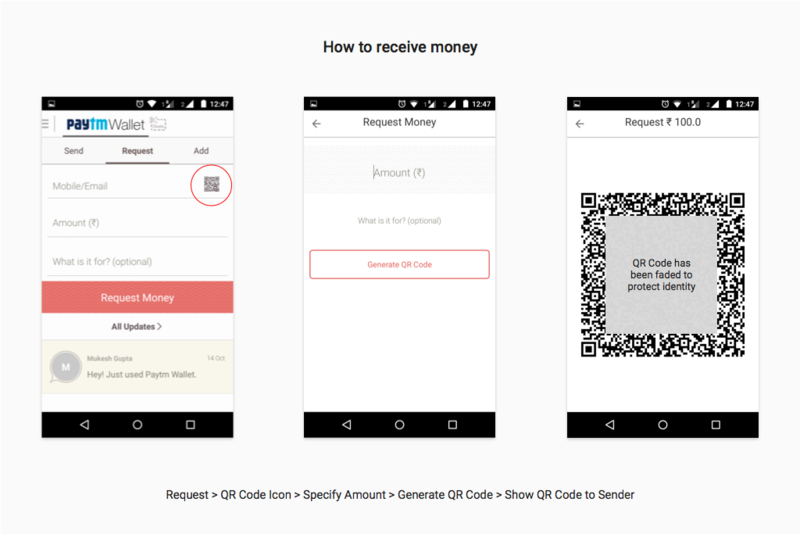 It allows the user to pay or send money by scanning a merchant’s QR Code. This facility isn’t exclusive to Paytm partners. With payment procedures are getting user friendly and fast, QR Codes serve to facilitate the model. India is rapidly pacing towards putting a smartphone in the hands of every India. To make services and content easily accessible, India, like China, must accommodate the QR Code technology to remove language and literacy barriers. Create a visually appealing and dynamic QR Code for your promotional campaigns to convert offline traffic. Free Trial.